Introducing The Belmonts – featuring three of Queensland’s finest, international-standard musicians, Row Morrissey, Stephen Ward and Brett Orr. The Belmonts offer fresh, original arrangements including 3-part harmonies of well-loved tunes that always captivate. 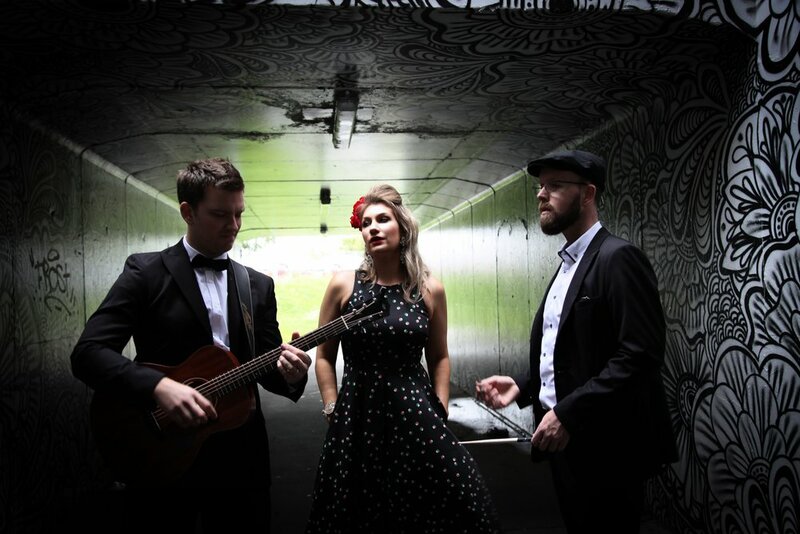 Row Morrissey leads the trio, with her fluid, smooth vocals and infectious stage presence, and is as warm and friendly as she is the consummate professional, sure to have your guests engaged all evening (especially on the dance floor). Stephen Ward anchors the rhythm of the trio with solid, refined guitar playing, teamed with flawless vocals and a fun, relaxed demeanour. The backbone of the trio is Brett Orr, who combines seamless, silky vocals with soulful keyboard playing and drum looping. The Belmonts offer a first class musical experience that is sure to charm your audience and add the perfect finishing touch to your event. Whether it be Jazz, Lounge, Funk, Top 40, dance floor favourites or well-known sing along tunes, every performance is professional and engaged, making The Belmonts a firm favourite.